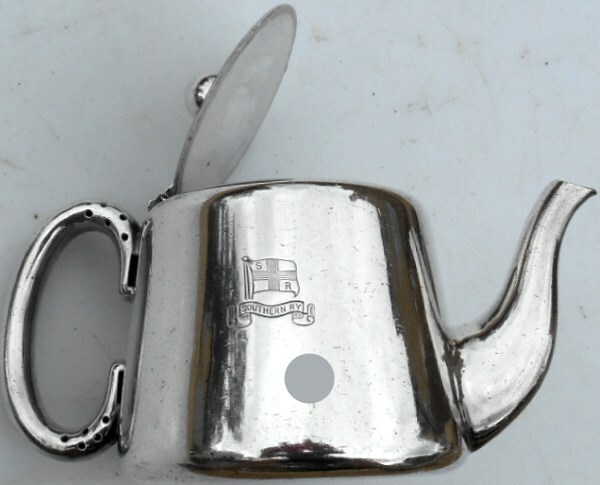 Lot 36 Small Southern Railway Shipping Silver Plated "TEAPOT". 7" x 3 1/2" engraved with house flag. Good condition.